HCC’s infrastructure business is mainly focused on developing, operating and maintaining Road Projects under Public Private Partnership (PPP) model. HCC Infrastructure Company Limited, a wholly owned subsidiary of HCC Limited, has two subsidiaries, namely HCC Concessions Limited (HCON) and HCC Operations & Maintenance Limited (HOML) respectively to effectively manage the portfolio. In 2011, HCC Infrastructure partnered with the Xander Group at HCC Concessions for development of the assets. HCON develops and maintains a premium portfolio of DBFOT (Design, Build, Finance, Operate and Transfer) assets that generate stable, diversified and growing cash flow streams with a high return on equity. The focus is on the development of large public infrastructure assets through PPP. HCC Operations & Maintenance Limited (HOML) is committed to provide reliable, safe and world class operations and maintenance services to its client and the road users. HOML has been successful in managing Operations & Maintenance of 200 KM of National Highways in busiest commercial route in West Bengal. 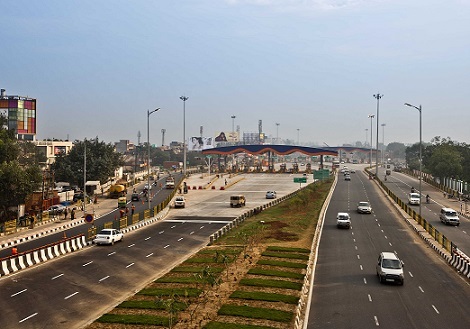 HCON has developed a portfolio of six road assets under the Government of India’s National Highway Development Program, being executed through National Highways Authority of India (NHAI). 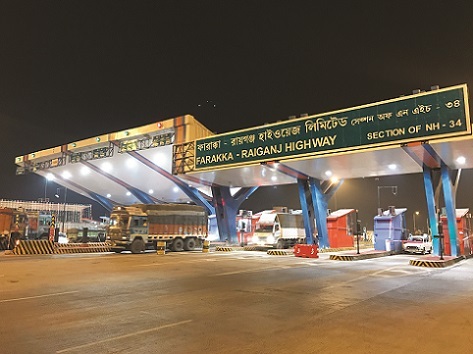 Of the portfolio of six assets, HCON has divested its stake in two road projects; another two projects in the state of West Bengal have been operational and earning higher than anticipated revenue with a huge potential for future growth with a development of untapped development potential in West Bengal and North-East India. For Badarpur Faridabad Tollway Ltd (BFTL), a termination notice was issued by the Company to NHAI on September 1, 2017 along with a request for termination payment in lieu of the Supreme Court imposition of environmental charges, effectively preventing commercial vehicle traffic movement into Delhi, which constitutes a political force majeure event. Similarly, Raiganj Dalkhola Highway Ltd has amicable foreclosed, given the impact of 6 year land acquisition delay on the project. The Company has been evaluating NHAI projects under Hybrid Annuity Model (HAM), a low-risk model, for future investments, besides evaluating the opportunities to engage with potential players for offering end to end services for Operations and Maintenance.